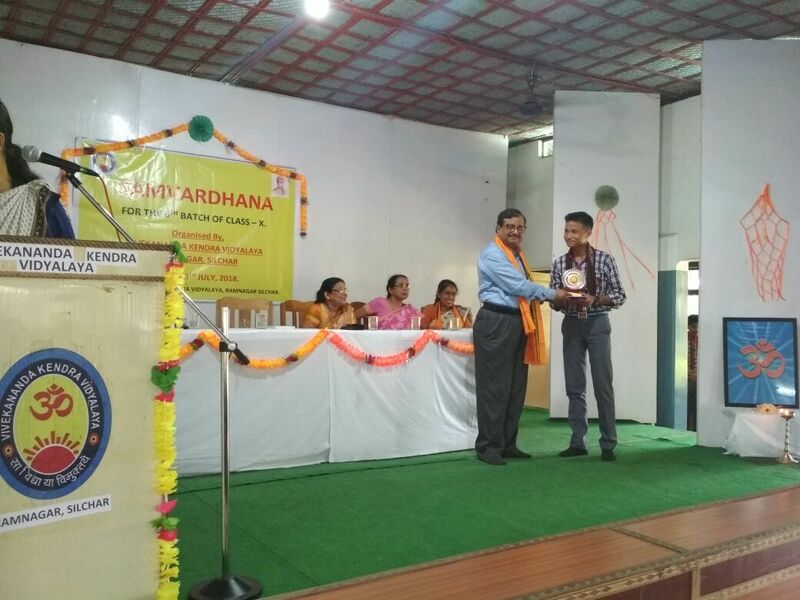 On 9th July 2018, Samvardhana was organized for the students of 6th Batch of Class X who have done good result in Board examination. On the occasion Chief Guests were Professor Niranjan Roy (Dean of Economics & Commerce department of Assam University) and Smt Attri Deshmukh (HOD of Physics Department of Assam University) along with Academic Support Group Smt Sunita Ghosh Deb (Former Principal of Moinul Haque School) , Smt Mukta Paul (Former Principal of Adharchand School), Sri Dhiren Singha (Principal of Udharband School). 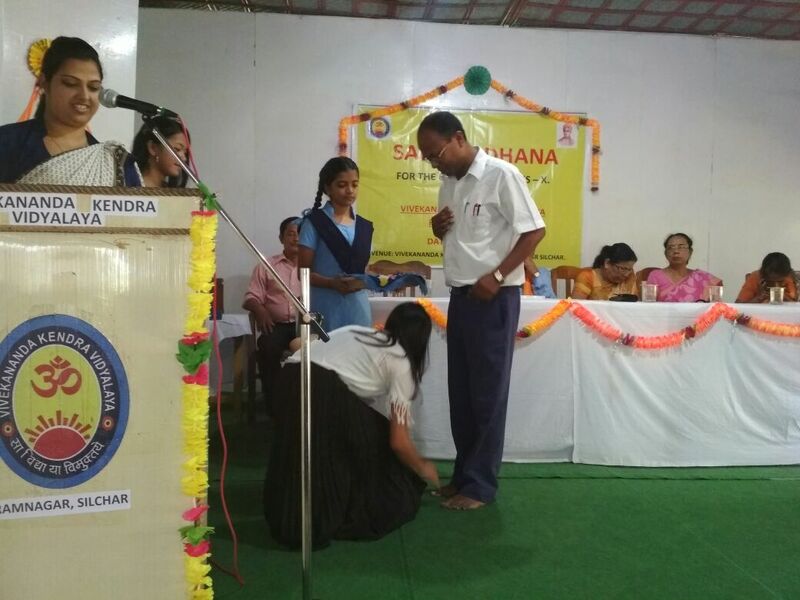 Sri Bijon Saha sir(Principal of VKV Ramnagar) welcomed everyone. 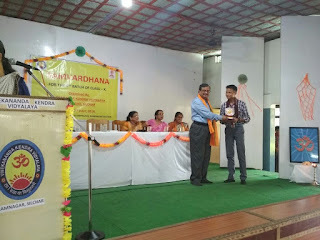 A song was presented by Class IX students. Students then shared their experience, how they prepared for their exams. Guardians also shared their experience and thanked the institution and the teachers for their help and support. Guests also enlightened everyone with their golden words and asked to learn to win jealousy and evil. 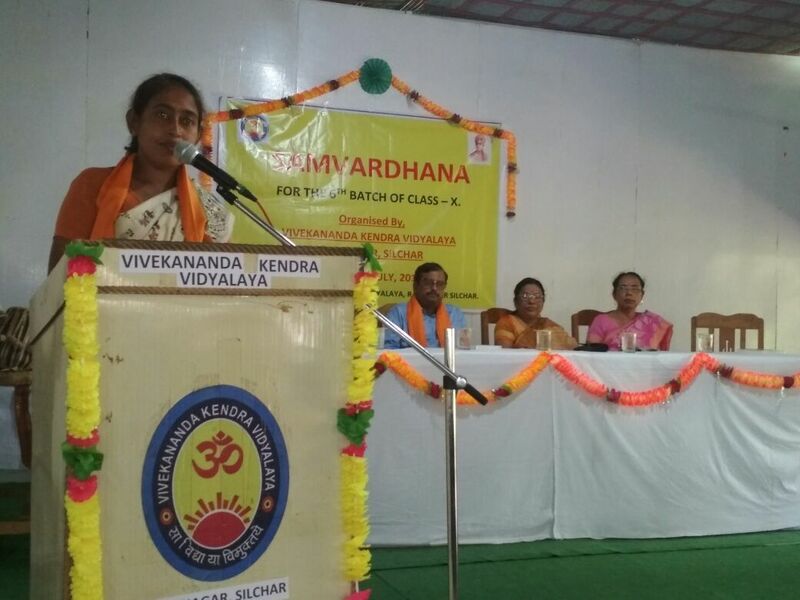 They also quoted some of Swami Vivekananda's beautiful lines to motivate the students. 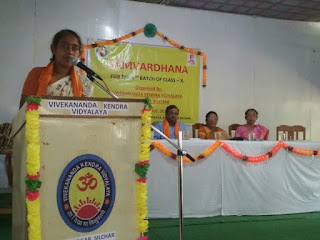 The program concluded with Shanti Mantra.